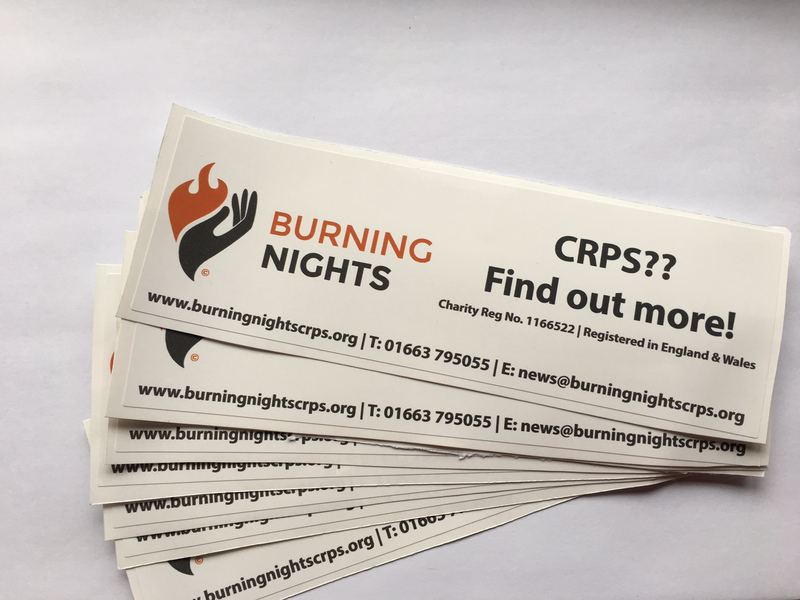 *NEW style stickers* The Burning Nights CRPS BUMPER STICKER is now available! The bumper sticker is made of Permanent adhesive outdoor vinyl to allow you to put them on wheelchairs, scooters, doors, car bumpers or even a metal cane or metal walking stick! 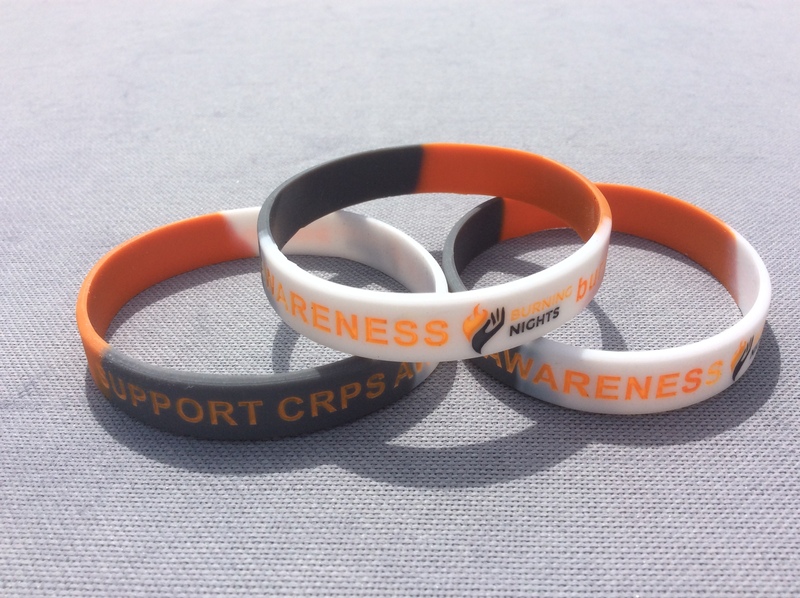 Show the world your support for CRPS awareness by purchasing either 1,3 or 5 bumper stickers from the drop down list below! 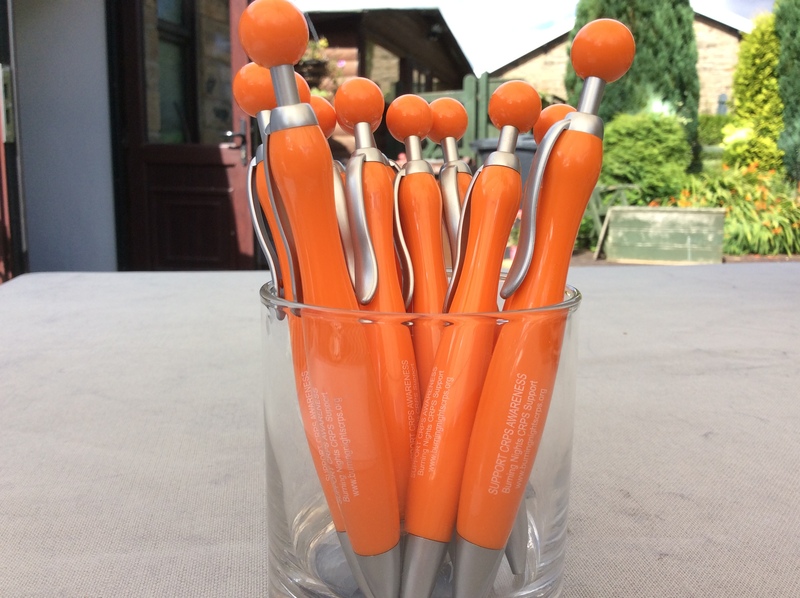 You could give 1 as a gift to a CRPS / RSD patient or buy it for yourself. PAYPAL & BANK TRANSFER are the ACCEPTED FORMS OF PAYMENT. Payment can be made in various currencies. If you wish to pay by credit or debit card please choose to pay via the PayPal option – you don’t need to have a PayPal account to pay via PayPal. 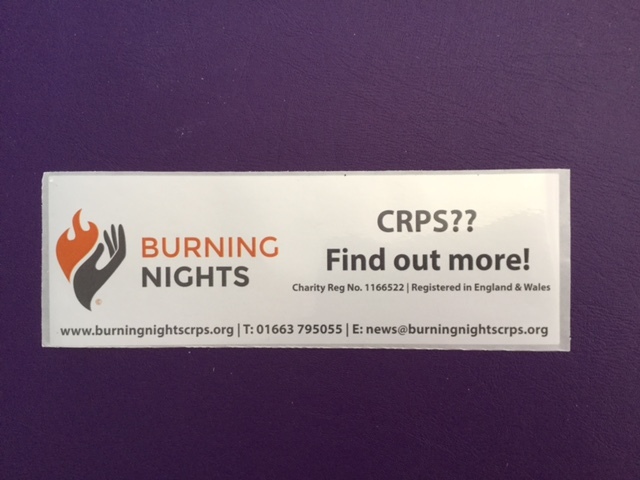 Burning Nights now has a *NEW STYLE* Support CRPS awareness BUMPER STICKER to add to the online shop as well as the Burning Nights Window Sticker! 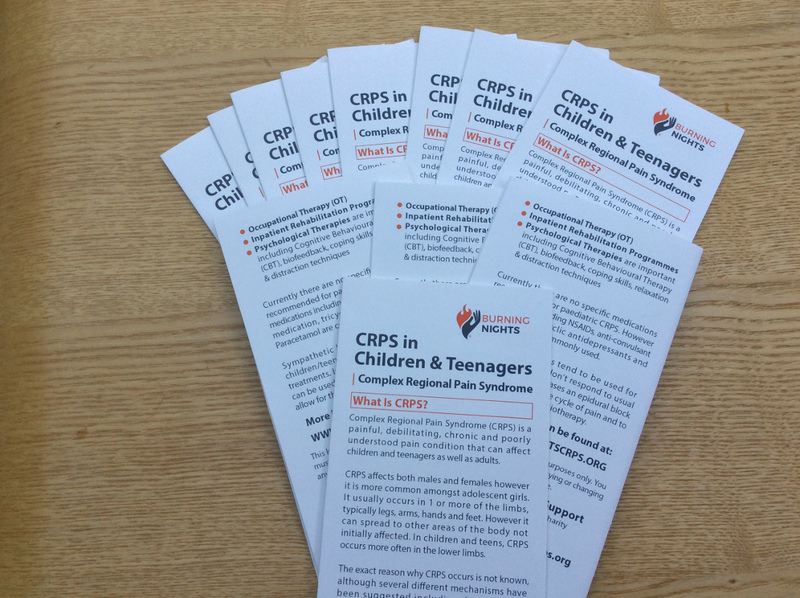 Why not show that you are a supporter of CRPS/RSD awareness by buying 1 of these bumper stickers?! 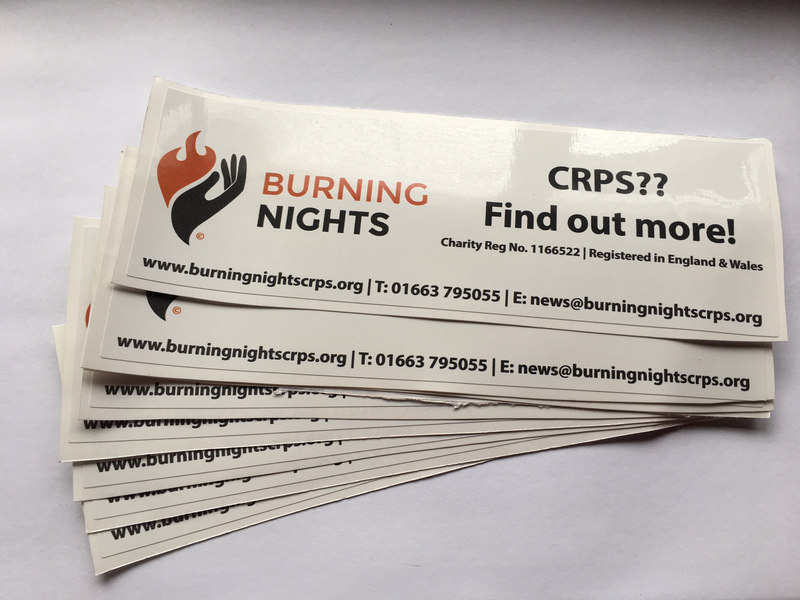 Due to the permanent adhesive outdoor vinyl you are able to use these Bumper Stickers on your wheelchair, scooter, car bumper, doors and even on your cane or walking stick if they are metal based! 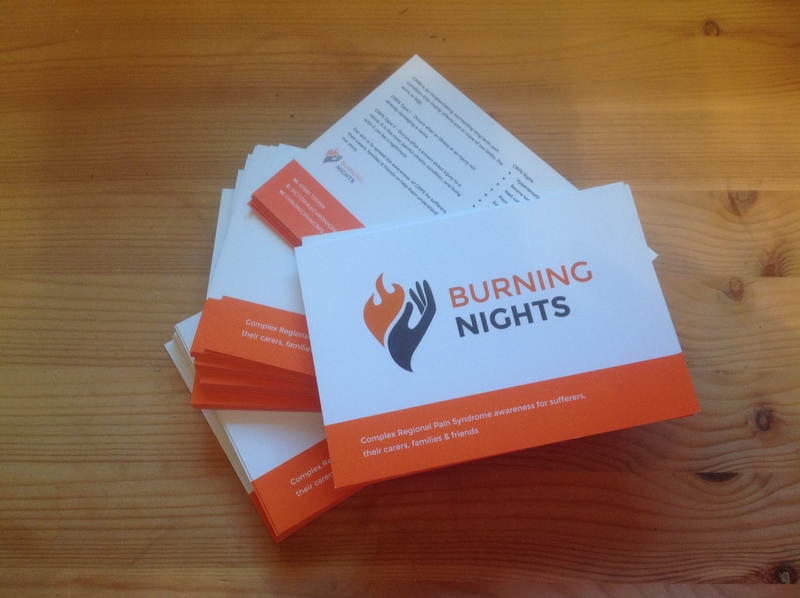 You can buy these bumper stickers either as a single sticker however you could take the opportunity of the offers available if you buy 3 or 5 stickers! Just choose either 1, 3 or 5 from the drop down list above. 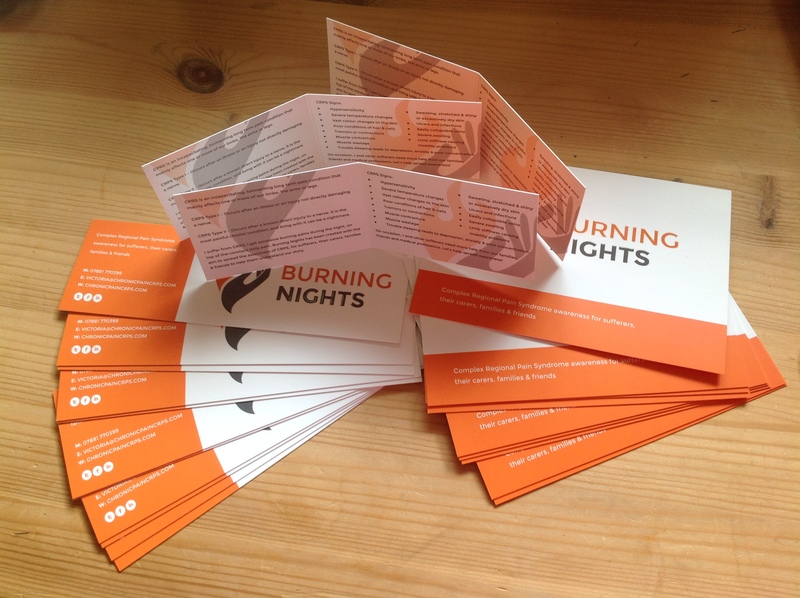 Why not tell all your friends and family about the Burning Nights BUMPER STICKER?! Postage & Packing is FREE to any address in the UK UP TO 200g. (Approx 4-5 different items depending) Over 200g there is a FLAT RATE of £3. Remember to click on the CALCULATE SHIPPING COSTS. Don’t worry the shopping cart/basket will work everything out! PAYPAL & BANK TRANSFER are the ACCEPTED FORMS OF PAYMENT FOR ALL PRODUCTS. You don’t need to have a PayPal account to be able to pay using PayPal, you can use your debit/credit card. You are able to pay in GB Pound (£), US Dollars ($), Canadian Dollars ($), Australian Dollars ($), New Zealand Dollars ($) and the Euro. You do this by putting your required products into the cart and when you go to your cart you can choose your currency there. The currency will change daily due to the fluctuating markets.